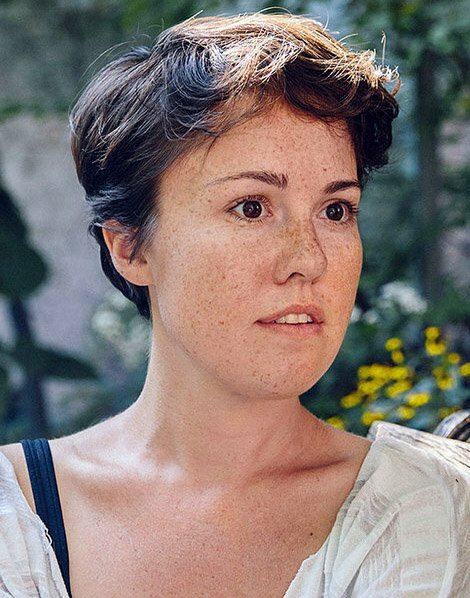 Back Bay Chorale’s season opener, “Caroline Shaw: Seven Joys” brought the seven-movement (four songs and three interludes) namesake composition along with six other works for a seven times seven contemplation on the meanings of joy. Through much of the evening, though, a quiet, introspective, sadness-tinged joy obtained. We cannot experience pure joy without experiencing its counterpart, deep sadness. And often, one brings about the other; deep sadness gives birth to a true joy, or maybe, as Kaveh Akbar says, “what seems like joy. . . . Each of Seven Joys’ four movements looks through a particular frame — joy and sorrow, joy and reason, joy and the mundane, joy and song — and is followed or preceded by a purely instrumental meditation. In these moments of reflection, the bright sound of the brass, which we often associate with fanfare and celebration, becomes instead the color of contemplation. It’s fair to say that Shaw, the youngest recipient of a music Pulitzer, who also sings in Roomful of Teeth and plays the violin, has a fascinating and distinctive voice. She also has a superior ear for contemporary poetry. On Saturday night at Emmanuel Church, she seemed at times to be using her large vocal contingent instrumentally and her brass instruments vocally in various arrays throughout the large and gloomy sanctuary. This piece as well as the entire concert seemed to be characterized by continuous redeployments of forces in pincer movements and flanking maneuvers. Shaw, though, thoughtfully covered the marching with brass interludes. The first of seven sections, After a Storm (Christian William, 2012) begins in the women’s voices with quiet brass support, “My sorrow’s flower was so small a joy…” The men join as sonorities swell to mf and pungent modulations ensue, never quite rising beyond bright-eyed contemplative. After a muted horn reverie began the traveling music, the choir dispersed into four well-spaced surround-sound groups, each with a conductor. Ratio (reason in Latin), to poem of Spinoza, argued that that people ought to be motivated not by fear and aversion but by joy alone, and that they might thus attempt to live according to reason. It began with a single low brass note gradually supplemented by the entire harmonic series—a possible double entendre on the English meaning of the title; thereafter, Shaw offered a modern version of plainsong (e.g., the perfect 5th drone as “organum”). The singers channeled medieval stoners, though their strange intervals and polygonal geometry did resolve at times into fearless symmetries. What Seems Like Joy (Kaveh Akbar, 2017) brought a hail of unpunctuated phrases separated in the text by quadruple spaces, some sung, but many spoken in a simultaneous jabberwocky reminiscent of the composer’s famous Partita for Eight Voices, but a fair bit more subdued. A group of chanters backed up the speakers. The contest of the toneless with the toney built to a discordant frenzy before the 100 voices closed by speaking as one voice. One imagines the substantial work the group must have invested in this debut performance. Jarrett spoke of the composer’s generosity in attending rehearsal and the group’s pleasure at the outcome of the commission. From what we can tell, Jarrett led a performance that would have pleased Shaw. We found it to be the most intriguing new choral work we have heard in some time. To begin the proceedings, conductor Scott Allen Jarrett had the good sense not to keep us waiting for the expanded Majestic Brass Quintet. They provided no little brilliance in a much-divided and multi-antiphonal Gabrieli canzona. Plaudite psallite, making something of a joyful noise, though with neither quite enough fire or precision to raise our hackles or the chorus’s enthusiasm. The second half comprised five shorter pieces. Henryk Górecki joined the ranks of the “holy minimalists” after he cured himself of Darmstadtitis with his tonal Symphony No. 3, Op. 36, “Symphony of Sorrowful Songs” in 1977. His subsequent mostly vocal or choral style repeats simple melodies with deep religiosity. Under assistant conductor Katherine Chan, the a capella contingent sensitively explored the quieter dynamic realms, imbuing Totus Totus, op. 60, with delicately etched shadings, even as the intonation departed for southerly climes. We heard the Maria mantra reiterated 39 times. Why did Jarret program Britten’s forgettable fifties Five Flower Songs, op. 47? The under-polished, plosive-misaligned chamber contingent failed to make a compelling case for this cheerful but slight work in which Britten set English pastoral poets in meandering neutrality, except for the often excerpted, livelier and frankly melodic Ballad of Green Broom. The adagio movement from Barber’s op. 11 string quartet has become something of a sickly greatest hit. Hearing it clad in massive choral garments to the text of Agnus Dei made it no more welcome on this night. Why bother, unless the ensemble can surmount the demands of extreme range and staggered breathing with intonational pitfalls? They are at Rest allowed the chorus to provide soothing, if dogmatic, uplift in Elgar’s committed Oxford, Newman, Roman Catholic anthem. Jarret here excelled in getting the chorus to follow his affecting subtle rubatos and flexible dynamics. It seemed over most of the concert’s course that we were hearing wistful sadness only anticipating joy. God had not yet led these forces, with un-moistened feet, through the Red Sea’s waters. Some of my disappointment in the rather too contemplative a capella second half comes from expectations set by BBCh’s shattering Verdi Requiem in Sanders Theater in 2011 [HERE]. Did Jarrett ask enough of the chorus this time other than in the Shaw?